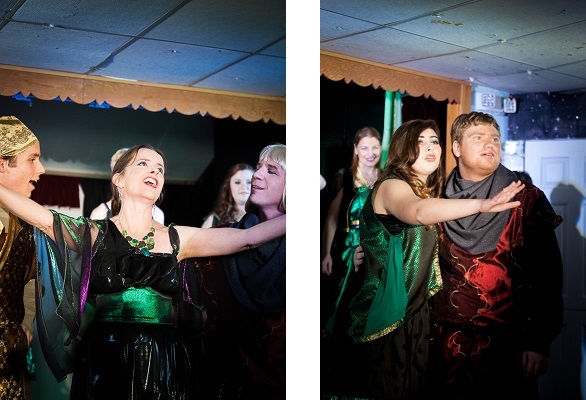 What do you get when you mix “Monty Python,” King Arthur, terrific music, and a tight-knit theater family? 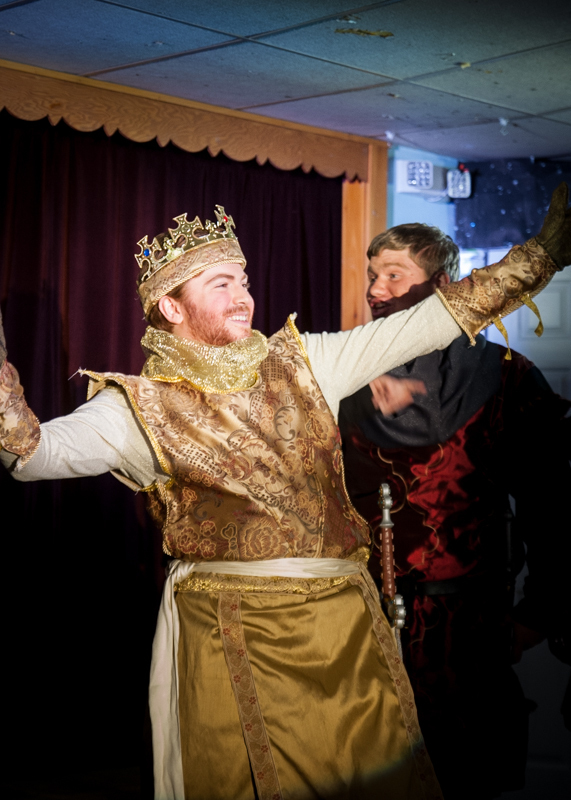 The Village Theatre Company’s side-splitting production of “Monty Python’s Spamalot” (a 14-time Tony-nominated musical lovingly ripped off from the motion picture, “Monty Python and the Holy Grail”). We were recently saw a sneak preview of this new production and, without giving (many) spoilers, this may just be Village Theatre’s best production yet! Featuring hilariously catchy songs such as “I’m Not Dead Yet,” “The Song That Goes Like This,” and the show-stopping “Find Your Grail,” “Spamalot” tells the story of King Arthur’s search for the Holy Grail. And by “tells the story,” we mean “hilariously parodies the story of…in the silly, irreverent way that only Monty Python can.). Musical Python humor aside, what makes “Spamalot” such a fun show is the environment of the Village Theatre’s home, the Laurel Grange in West Newbury, MA. The intimate theater puts the audience close to the show; it’s almost as if the audience becomes part of the show and “in” on the joke (rather than being a distant observer separated by the invisible 4th wall). The show is fun, the cast is having fun, so the audience has a lot of fun as well. Part of what sets the Village Theatre Company apart is the fun that the cast has. It’s infectious and is obvious the cast loves performing, loves show they’re putting on, and, most importantly, loves being together. During the preview, we were treated to asides from the cast in between scenes – information on the Village Theatre, some background information on the show, and personal anecdotes. The one theme that wove all of these asides together was “family.” Everyone involved in the Village Theatre – from the board of directors to the actors, director, and light tech – is tied together by this familial bond. Every show is put on by a group of people who genuinely enjoy working, playing, being together and, during each performance, the audience is invited into this crazy, fun, talented family. And who doesn’t want to be a part of a British-accented family of killer rabbits, knights who say “Ni,” and coconut horses? “Spamalot” runs January 23-25, January 30-February 1 at the Laurel Grange (21 Garden Street, West Newbury). Be ready for an evening of belly laughs, giggles, and general merriment – this is one show you do not want to miss! For more information on the show, please visit http://www.villagetheatrecompany.org/Spamalot.html.